Told with Jane Green’s keen eye for detailing the emotional landscape of the heart, Summer Secrets is at once a compelling drama and a beautifully rendered portrait of relationships, betrayals, and forgiveness; about accepting the things we cannot change, finding the courage to change the things we can, and being strong enough to weather the storms. 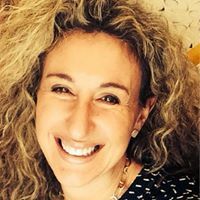 For the longest time, Jane Green has been known for writing witty, engaging novels about women in their thirties undergoing major life changes. Sure, she deviates from that formula once in a while, but I’ve been reading her stuff since I was in my thirties, and she’s a go-to author when you want a beach read that’s deep enough to keep you interested, but not so heavy that your head starts to hurt. 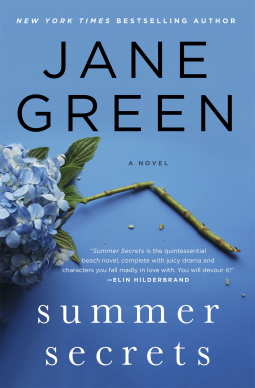 Summer Secrets, which I read as an ARC from NetGalley, is no different, though it is a little bit darker than some of Green’s previous novels, mostly because the main character is an alcoholic. What I especially liked is that even the minor characters felt like real people. Cat is a flawed (deeply flawed) protagonist, and there were times when I wanted to shake her and order her to make better choices, but having known enough addicts, I know it would not have helped, but even the people she works with, seen in brief exchanges in the office, or going for drinks after work, have their moments. Her teenaged daughter, as well, was suitable moody and mercurial, the way actual teens tend to be. I also liked that Green was pretty accurate with the addictive personality, and didn’t offer a magical ‘fix’ to Cat’s problem. She had to work – and work hard – to get from the place she started at the beginning of the novel, to the place where she ended. The dual settings of London and Nantucket, I thought, worked well in juxtaposition, and the shifting time periods, while a little bit confusing at the start of the book, really helped show Cat’s growth, albeit in a non-linear fashion. I don’t know if Ms. Green plans to continue making her plots as meaty as this one was – yes, it was still a romance, deep down, but still… – but if she does, I applaud it. I’ve always enjoyed her work, but I thought Summer Secrets offered the best blend of summer escapism and smart, contemporary fiction. Goes well withBoardwalk fries and lemonade, eaten while sitting on the beach.